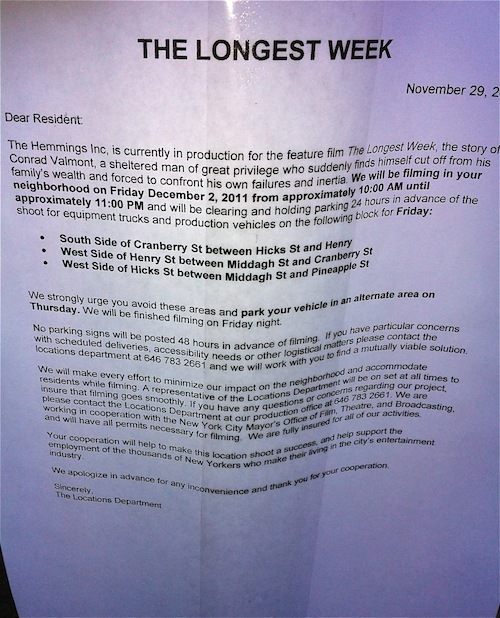 The Longest Week will be filming in Brooklyn Heights again on Friday (12/2/11) from 10AM – 11PM according to signs posted in the area. Cars should be moved by 5pm this afternoon. 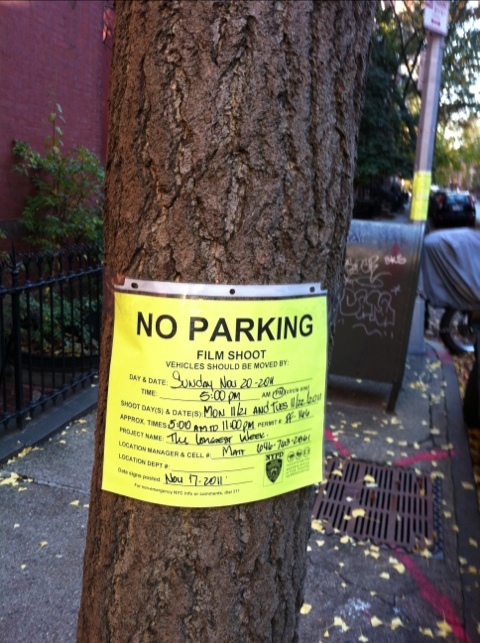 Residents may call the locations department at 646-783-2661 with any questions.